Come this winter, Cancun will see an influx of foreign tourist as stated by American Society of Travel Agents (ASTA). According to bookings by members of ASTA, Cancun is the most popular international destination for the 2014-2015 winter season. 24 percent of respondents to ASTA’s 2014 Hot Spots for Winter Survey chose Cancun as their favourite destination to visit during winters. During summers its only 5 percent. Some of the other popular destinations for winter are Rome (16%), London (11%), Paris (9%), Sydney (3%), Barcelona (3%), Montego Bay (3%), Riviera Maya (3%), Punta Cana (2%) and Cape Town (1%). The top 10 international destination cities in the winter survey are the same as the summer top 10 with the exception of Sydney and Cape Town replacing Amsterdam and Madrid. Mexico, led by Cancun, topped with a 24 percent share. Rounding out the top five country/region destinations for winter travel are Italy (18%), the Caribbean (12%), France (7%) and United Kingdom (6%). Survey data was collected through the 2014 ASTA Research Family from July through August 2014. This survey has a 95 percent rate confidence with an error rate +/-5 percent. Cancun is easily accessible from the U.S., has a plethora of all-inclusive resorts, a warm climate and beautiful beaches and that’s why it emerged as the clear winter vacation destination desired by our member’s clients explained Zane Kerby, ASTA President and CEO. If you have any doubts regarding your dream destination, you can find a travel agent on the ‘Find a Travel Agent’ directory on TravelSense.org. Here the tourists can search for a travel agent who specializes in the destinations that they dream of visiting. So, where are you heading to this winter? 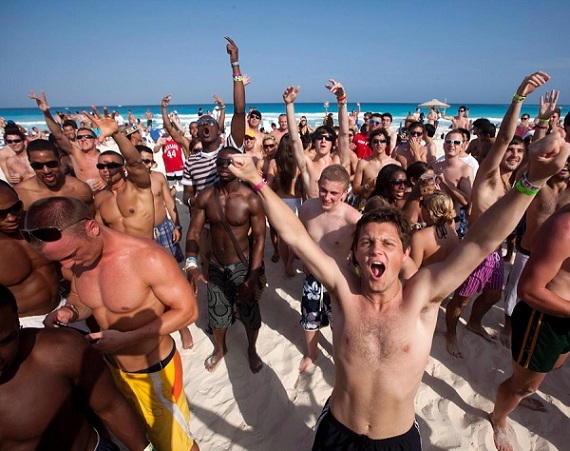 Cancun Spring Break is a heady time in Mexico. Thousands of students from USA descend to Cancun and spill over to Playa del Carmen & Akumal in search of beach, sand and unlimited fun. But alcohol, youthful exuberance, crowds and a foreign land doesn’t mix well. The result is that we read quite a few cases of students getting in to trouble. 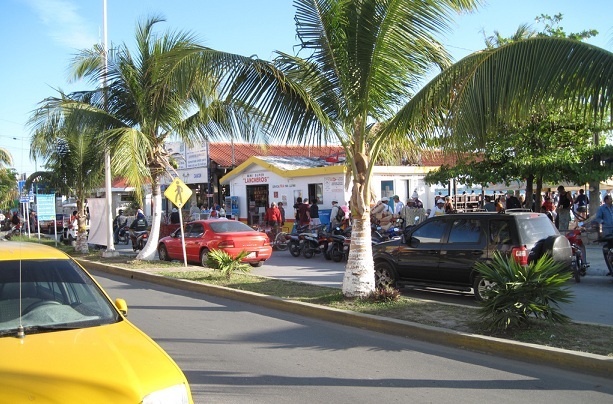 Usually Cancun is quite safe for foreigners but being aware and smart is always recommended. Avoid underage and excessive alcohol consumption. “Overdoing it” can lead to an arrest, accident, violent crime, or death. Obey all local laws, and remember they might be different from our own. Don’t carry or use drugs, as this can result in severe penalties. Don’t carry weapons either—some countries have strict laws, and even possessing something as small as a pocketknife or a single bullet can get you into legal trouble. Before you leave for your trip, learn as much as possible about your destination at our website dedicated to student travelers: studentsabroad.state.gov. Here, you can find out about entry requirements, crime, health precautions, and road conditions. Enroll in the Smart Traveler Enrollment Program (STEP). This program keeps students up-to-date with important safety and security announcements, such as Travel Warnings, Travel Alerts, and security messages. Keep in touch with your parents. If you will be without Internet or phone service for a few days, let them know. We receive many calls from parents who fear the worst when they have not heard from their children. In most cases, their child is fine, but has been too busy to check in. Of course, even well-prepared travelers may face an emergency, like a lost passport or an injury. In those cases, our embassies and consulates are available to help 24/7. Be sure to write down the contact information for the U.S. embassy or consulate in your destination country. Members of the media who wish to speak about Spring Break travel tips with an official from the State Department’s Bureau of Consular Affairs are encouraged to contact CAPRESSREQUESTS@state.gov. Cancun has always been the #1 destination for spring breakers and celebs. The latest celeb to endorse Cancun is the tennis legend Rafael Nadal. Tennis superstar Rafael Nadal took a break from tennis as he relaxed on the Cancun beach with his girlfriend. Nadal’s girlfriend Maria Xisca Perello was spotted in a bikini. She is clearly one of the top WAGs as far as beauty is concerned. It was not just sun and sand for the Rafael in Cancun. The uber-fit athlete also indulged in kayaking to keep himself fit even when thick in between his vacation. Rafael intends to keep up his form in top gear as he will look to defend the Indian Wells’ title just after the vacation. The year ahead is going to be very busy as the tennis calendar is packed and Nadal will be facing off stiff competition from the likes of Novak Djokovic and Andy Murray. Nadal is not the only celeb to visit Cancun recently. Here is a list of celebs who were in the beach destination in the recent times. Cancun is a safe destination totally contrary to the rumors regarding its security. 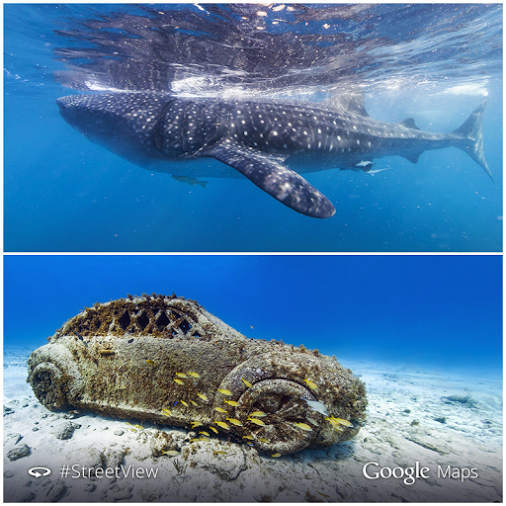 The pair looked happy and content. The romance was in the air as the Cancun provided the perfect backdrop. The couple had an easy charm and no airs about them. Recently a worried traveler posted a question on Tripadvisor asking if Cancun, Mexico is a safe place to visit. The traveler plans to visit Cancun with a friend, but her parents are very concerned and keep sending her links of sites showing crime in Mexico. This has gotten her worried to the extent that she is planning to stay within the resort the whole time and not venture out in Cancun! She needs to know, that in terms on safety, if there is any reason to worry at all while visiting Cancun, Mexico. Cancun is a whole lot safer than any medium-sized city in the US. Most travelers say that they have been to Cancun several times, never ever felt unsafe and thoroughly enjoyed their trips. In fact, Cancun feels a lot safer compared to the other places that they have visited across the world. Mexico is a huge country. It is absolutely wrong to refer to the entire country as “unsafe”. Read up and be informed. Mexican states like Baja California Sur, Guanajuato, Campeche, Oaxaca, Puebla, Quintana Roo and the Yucatan are very safe and have absolutely no travel advisories issued on them by the US State Department. Cancun is absolutely unaffected by the drug cartels that operate in certain parts of Mexico. The cartel’s do not want attention which is why they stay away from tourist areas like Cancun, Puerto Vallarta etc. Depending on your budget you could either put up in downtown Cancun or in the pricey hotel zone area. Both the options are perfectly safe. To be extra careful, stay in the tourist areas and don’t wander off into unknown areas. Also, leave valuables at home or in your hotel’s safe and do not carry large amounts of cash. Exploring Cancun in a bus is a great adventure and also absolutely safe. Thousands of expats living in Cancun homes can vouch for its safety. Cancun is as safe as it can be. Choosing to stay within the hotel and not exploring this fantastic town would be a big mistake. Filed Under: Travel Tagged With: Cancun, Cancun attractions, cancun safety 2014, Is Mexico safe?